Intel has partnered with Samsung to develop a new mobile platform codenamed Tizen. The project is expected to find a home on smartphones, tablets and netbooks as well as embedded products like smart TVs and in-vehicle entertainment systems, says Ars Technica. The open-source platform will be Linux-based and as such, the Linux Foundation will host the project which will be steered by teams from Intel and Samsung. The project will be centered on HTML5 and other web standards. In a statement on the MeeGo website, Intel’s director of open source technology Imad Sousou says that the future belongs to HTML5-based applications and the company wants to shift their investment toward that. Sousou indicates that they will be working hard to ensure a smooth user transition from MeeGo to Tizen. We are told to expect the first release of Tizen in early 2012. In February 2010 Intel partnered with Nokia to create a mobile operating system called MeeGo which combined Intel’s Moblin and Nokia’s Maemo platform’s into one. The joint OS never really gained traction and earlier this year, Nokia left Intel to partner with Microsoft to make Windows Phone their primary smartphone platform. Earlier this month DigiTimes reported that Intel planned to temporarily halt development of MeeGo due to a lack of enthusiasm from handset and tablet vendors. 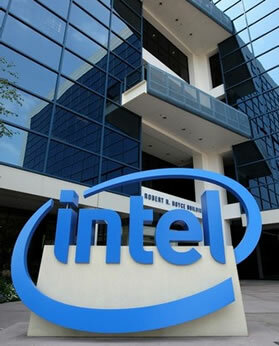 Intel refuted the claim and said they will continue to work with the community to develop and meet the needs of customers and end users. In light of this latest news, it seems Intel wasn’t as committed to MeeGo after all.